Kershaw Crown Linerlock I. 4 1/4" closed. 3 1/8" 8CR13MoV stainless satin finish clip blade with dual thumb studs. 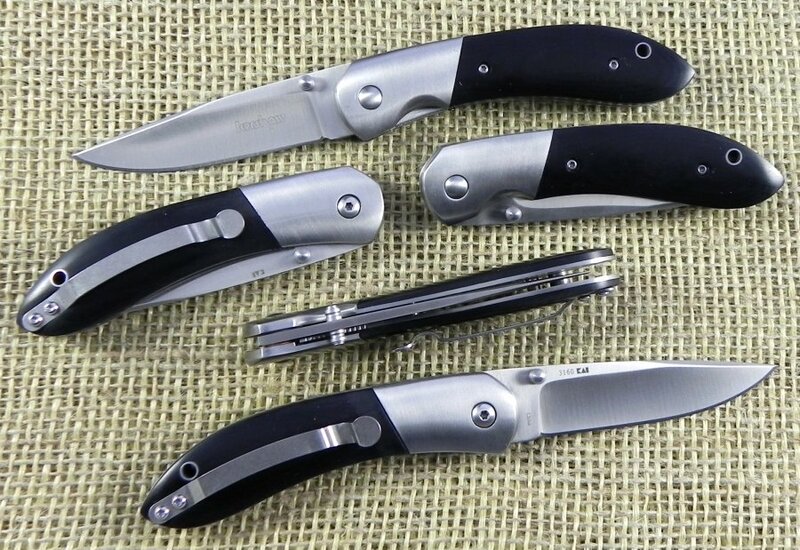 Black polished micarta handles. Satin finish stainless bolsters. Lanyard hole. Stainless pocket clip.